The rise of veganism in Kent shows no sign of stopping, with the first all vegan fish and chip shop in the county having a great first month of business. 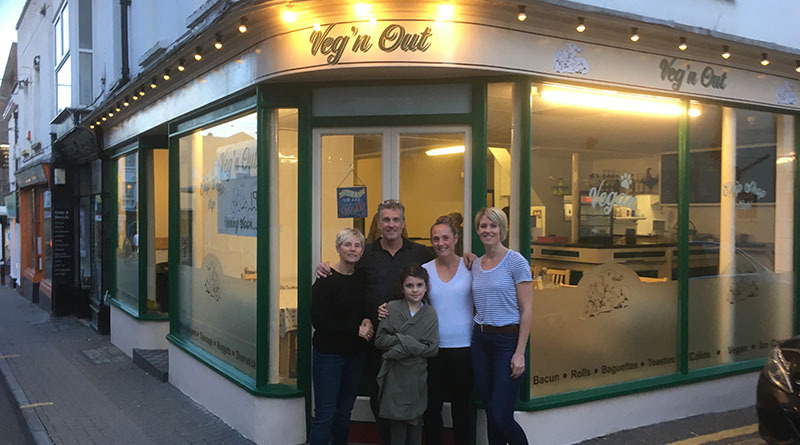 Family-run Veg’n Out in Broadstairs opened in November, and the success of their meat and dairy free cafe is just another in Kent’s growing list of vegan eateries. 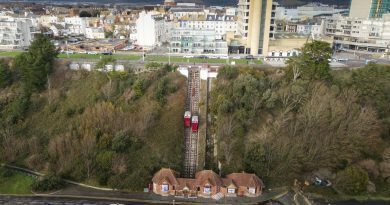 With the opening of two vegan restaurants in Margate in 2016 and the first vegan pub in Canterbury last year, the plant-based diet is only growing in the county. Owner Stacy Goodwin, said: “Our first month has been extremely positive and has been very busy with many vegans and non vegans. “Veganism in Kent seems to be increasingly popular with many different food outlets offering vegan options due to demand. Vegan fish at the cafe is made from soya protein wrapped in a seaweed sheet, while bacon, sausages and chicken is steamed from seitan – a mix of vital wheat gluten, spices and herbs. These health and ethical benefits are said to explain veganism’s increasing popularity in the South-East, something echoed by Tod Bradbury, campaign manager of vegan outreach at Animal Aid. “Veganism and plant-based eating has taken the country by storm in recent years, and that can indeed be seen in Kent. Throughout the county we have vegan cake shops, cafés, restaurants and pubs. 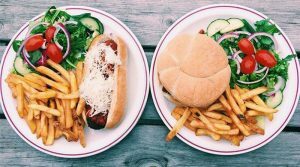 “These days there are vegan options everywhere – be it in the local shops, supermarkets, and the many amazing local pubs and eateries we have in Kent. The Monument in Canterbury is the county’s first vegan pub, opening last year. Jo Kidd, founder of the annual Kent Vegan Festival, also believes that veganism is soaring in the county. “I would say that, outside of London and Brighton, Kent is certainly leading the surge in veganism in the South East. “For 100% vegan eateries/shops, there is pretty much at least one in each main town plus loads of others which have at least a few vegan options.